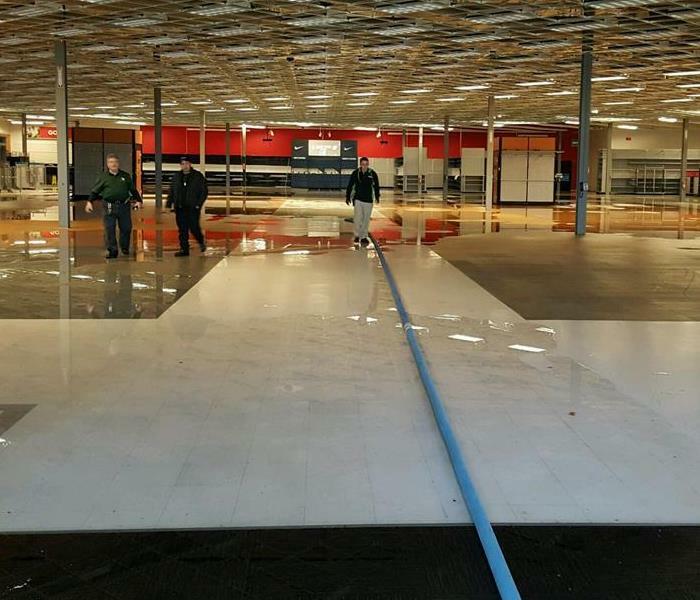 Water damage is one of the most common causes of loss for commercial properties. This damage may originate with clean water from broken pipes or contaminated water from a flood or sewer backup. Property owners and managers should follow the top three tips for preventing and mitigating damage at a building in Centennial, CO. Many types of damage may be prevented with regular inspections and maintenance by trained specialists. Monitoring the condition of plumbing or roofing can reduce the risk of broken pipes or roof leaks. It is also a good idea to periodically check the condition of a building envelope to prevent exterior moisture from seeping into a structure. If a building is located on a flood plain, the owner or manager may want to invest in re-usable sandbag alternatives or flood barriers. A building owner or manager should come up with plans to limit water damage. Designated occupants should know where the main water valve is located and how to shut it off. If flooding is expected, preventative measures should be taken to keep water out of a structure. Collect water from a roof leak in containers with wheels. If water accumulates in a building, a timely extraction is the best way to minimize damage. 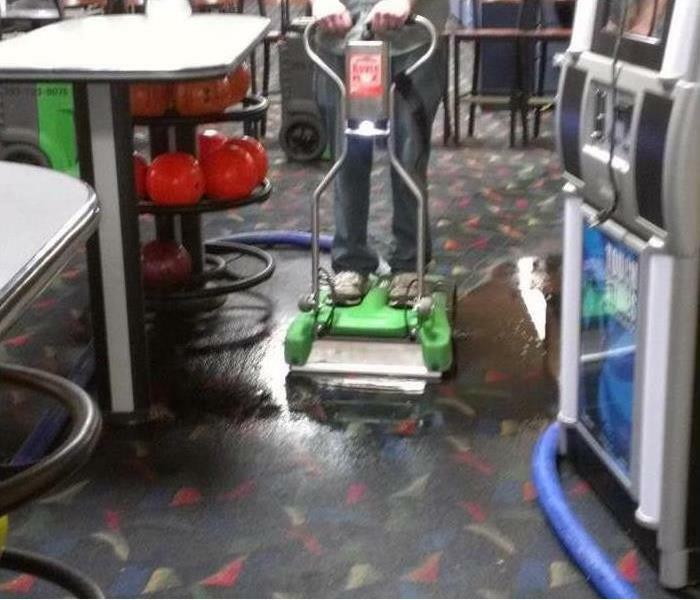 An owner or manager may start the process with a mop or wet vac. Damage mitigation experts can use pumps to remove standing water and debris as quickly as possible. These tips apply to almost any type of water damage that could affect a commercial property in Centennial, CO. Regardless of whether damage is caused by clean or contaminated water, a building owner or manager should arrange for professional water cleanup to limit the severity of primary damage and the risk of secondary damage. SERVPRO is certified and trained in mold removal and cleaning practices. When cleaning hard and tile surfaces, many commercial facilities will turn to bleach or chlorine because it is a strong disinfectant. However, when dealing with fungus cleanup, especially on porous surfaces, bleaching agents may be the worst choice. While they are proven cleaners, fungus, such as mold, is resilient, and bleach may contribute to the problem rather than resolve it. Chlorine may fail to cleanup mold because it has lost potency. While fresh chlorine is strong, it evaporates over time, diminishing its overall effectiveness. Granted, you may have just bought a new bottle at the store, but how long was it sitting on the shelf? The plastic jug it is stored in does not eliminate the evaporation process. Most bottles of chlorine will advertise it as a surface cleaner, meaning that it is intended for nonporous surfaces. Therefore, when attempting a fungus cleanup on a porous surface, the chlorine will only kill and clean the surface mold. However, the water in the bleach will penetrate the surface and contribute to the overall problem. The fumes from chlorine mixtures can be toxic to people and pets. While working in a well-ventilated area can reduce most harmful side-effects, the cleaner also produces a carcinogen called dioxin. If used continually over time the pollutants from these cleaners can be worse than the initial exposure to mold. Therefore, it is more beneficial to find alternatives for mold removal. 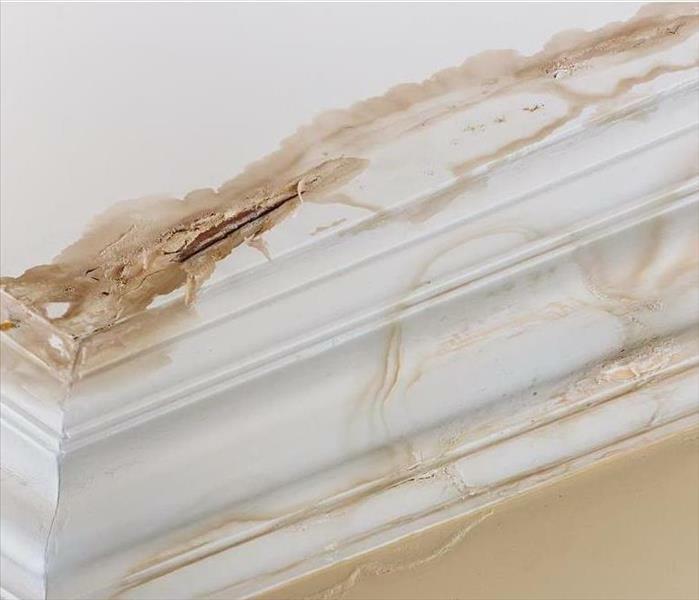 A mold remediation specialist in the Littleton, CO , area will not only provide your business with a fair assessment of your current fungal problem, but they will also perform tests to ensure they understand your particular issue. Additionally, remediation experts are certified and trained in safe removal and cleaning practices to ensure the safety of your staff and customers. Fungus cleanup, especially in commercial properties, should be handled properly to ensure the health and well-being of staff and consumers alike. While chlorine has many favorable disinfecting properties, it does little to clean mold from porous surfaces. Flood Damage can be devastating in Englewood and Littleton, Colorado. Water damage, whether water in home or water in business, can result in truly devastating consequences. The key to minimizing the impact of flood damage is obtaining promote water and floor mitigation from an expert, like SERVPRO serving Englewood and Littleton, Colorado. Time definitely is of the essence when it comes to a water-related emergency at home or business. 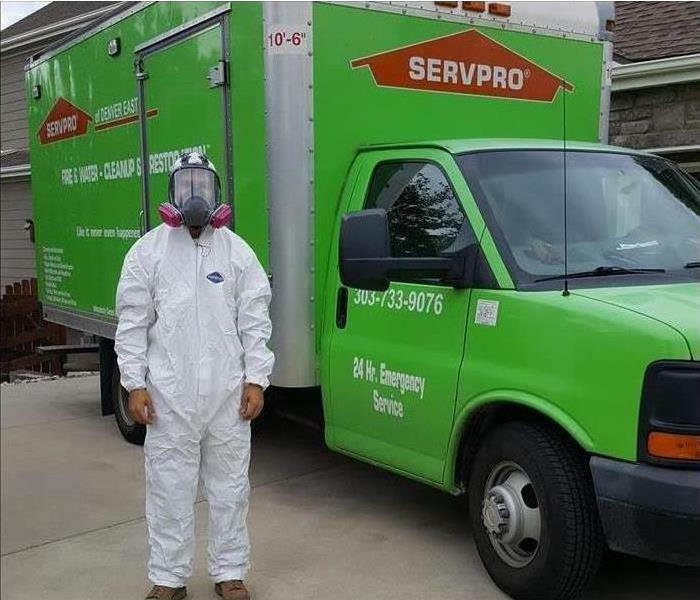 A home or business owner can not schedule a water-related catastrophe and must have access to a team of professionals, like the crew at SERVPRO of Englewood/ East Littleton, around the clock. In addition to being able to connect with a water-related remediation professional any time, day or night, a home or business owner must connect to professionals who can respond to a crisis immediately. Minutes can make all the difference in truly containing a water emergency. When a home or business owner faces a flood or water-related issue, that individual must access a professional that provides comprehensive mitigation services. Properly addressing a water emergency is a multifaceted process. The initial phase is diagnosing the nature and extent of the problem. Of course, when a water event occurs, it is obvious on the surface what is occurring. However, there are a multitude of other considerations that come into play and must be identified at the outset. Only skilled professionals, like the team at SERVPRO, have the capacity to undertake this type of inspection and analysis in an efficient and accurate manner. The next phase is immediate water elimination. This necessitates the latest equipment that ensures rapid water removal. Air movement is an important part of the process to aid in water removal and to initiate the effective drying of the premises. The remediation process includes more than merely drying the physical structure of the premises. Not only is the drying and air movement necessary to addressing water impacting the premises structure itself, but also to deal with water logged personal property. A reality associated with a water emergency is its significant impact on personal property. In many cases, the damage to personal property associated with a water-related emergency in Englewood or Littleton, Colorado, can represent potentially the most expensive element of the potential loss. What if you made all the decisions regarding your employment, including how much you get paid and when your work day begins? Many people, tired of working for someone else, have turned to business ownership. One way to get started is with a SERVPRO franchise. There are many reasons to choose this specific opportunity, beginning with quick starts, the chance for expansion, and ongoing training from corporate resources. Before getting started, check out some expert tips for new franchise success. It's important to recognize that franchise opportunities aren't all created equal. Consider your options carefully before jumping into something that won't support itself. Each SERVPRO franchise is locally owned, providing disaster restoration services to the neighborhoods and communities where their owners reside. This local approach creates trusting relationships between cleanup and repair technicians and home and business owners in the area. It also gives franchise owners the freedom to have a hands-on relationship with all aspects of business operation. Perhaps one of the most meaningful reasons to consider a franchise with SERVPRO is access to corporate resources. Some of the tools include tried-and-true methods for establishing strong franchises. Step-by-step procedures are outlined for franchise owners. New employees become certified, so they have the necessary training to tackle mold remediation, HVAC and duct cleaning, carpet and furnishings cleaning, painting, and reconstruction. 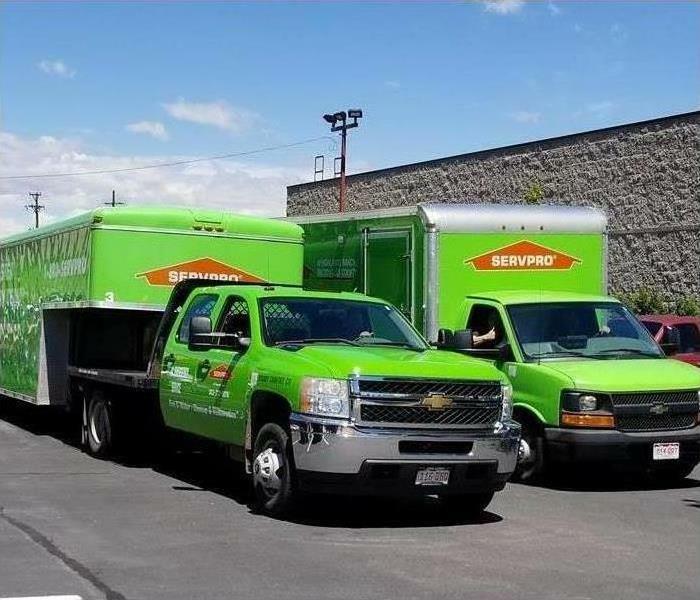 A SERVPRO franchise could be just the thing to help you take control of your employment situation in Southglenn, CO. With solid training and plenty of support from corporate offices, you'll enjoy the freedom of running a business that you can be proud of. What's stopping you from checking further into this opportunity? Corporate leadership probably has the solutions to your dilemmas. A basement flood is possibly one of the worst things that can happen to any homeowner, especially if the damage is not protected against. While insurance coverage may cover the costs associated with a sudden pipe break or sewage backup, flooding from natural disasters is often not covered under basic policies. Therefore, some homeowners are left with the responsibility of cleanout and cleanup on their own with little knowledge of the process. The flood cleanup process is simple, however, but time-consuming and potentially emotionally draining. The first step to fixing your basement is to dry it out. This may involve the rental of pumps, dehumidifiers, fans and air movers. You want to get the water and moisture out of your basement as quickly as possible to reduce the risk of mold development, which can occur within 24 to 36 hours. After a basement flood, it is recommended that all gas and electronic appliances that were submerged or damaged by the flood be thrown away. Water can affect the functionality of these products, and any residual moisture can present a safety hazard if used. Flooded areas, as stated, can lead to mold development and infestation. Therefore, it is essential to deal with any potentially contaminated materials proactively. This means that any porous items, including drywall and insulation, should be discarded. 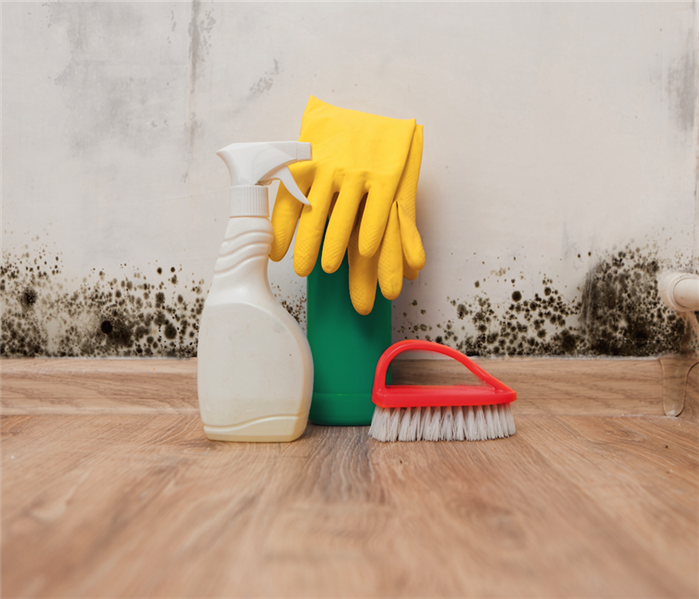 Mold can develop in wall cavities, and as such, drywall and insulation should be removed from the floor to at least 12 inches above the flood line. Once all the water and contaminated materials are removed from the space, it is time to clean and sterilize the area. A disaster restoration specialist in the Park Meadows, CO, area can help with the cleanup, and they can also provide you with suggestions for flood prevention and planning. A basement flood can be devastating, leaving many homeowners feeling overwhelmed. However, with a calm approach and structured cleanout, the disaster is manageable. It can be irritating to open your fridge or bread drawer, getting ready to make a sandwich after a long day’s work, and find both meat and bread mold. While understandably frustrating, the problem is not uncommon and is most often the result of natural causes. However, it is still beneficial to understand why it occurs, so that you may prolong and protect the life of your food products. Fridge mold can be just as likely inside and outside the bread drawer. While each environment has different temperature settings and humidity levels, food offers spores something equally sustainable: moisture and nutrients. Though you may do everything in your power to prevent it, the fact that meat and bread both have certain characteristics means that they are prone to potential mold development. Differentiating between natural and preventable growth is important. Bread mold and other types are likely natural occurrences; however, there is the possibility that an underlying issue is exacerbating your problem. For instance, if you notice that your bread is being affected quickly and often, you may have a persistent mold situation behind your cupboards or under your sink, depending on where your bread storage is located. The unfortunate truth is that fungus growth is a natural phenomenon that occurs everywhere. You may never be able to eliminate its presence from your life fully. 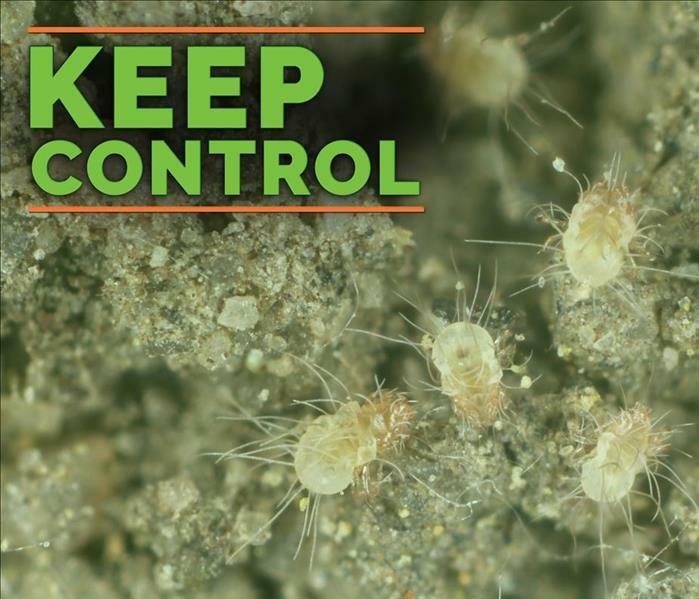 However, utilizing preventative measures, such as moisture control, can prevent infestations and mold development. A mold remediation specialist in the Cherry Hills Village, CO, area can assess your property for potential risks and help you come up with a prevention plan. These experts are likely IICRC certified and understand fungus prevention and remediation. Bread mold and other food spores are normal and natural. While frustrating, there is not much that can be done, unless there is an underlying issue that is perpetuating rapid mold development. You can call an expert to help you assess your property and take preventative steps. How Do Insurance Agents Use Claims Inventory Systems? SERVPRO is ready to help! A claims inventory system can help insurance agents keep track of claims in progress, estimates and data. There are several ways in which the SERVPRO Claims Information Center makes it easier to settle an insurance claim. All of this data is available for counties, states, regions and nationwide. An insurance agent can also easily compare the performance of a company to other mitigation and restoration services in a region or across the country. As an insurance claim progresses, an online resource makes it easier to add to, complete or review data. This can help insurers and restoration professionals ensure that all of the necessary information is available to other parties. This may reduce the possibility of miscommunication, which can unnecessarily prolong the claim process. An online resource that is easy to access can speed up the process of preparing, processing and settling claims. The availability of individual and collected data in one place can allow for less back-and-forth communication between agents, adjusters, insured parties and mitigation and restoration services. All of these factors can make an electronic claims inventory system a useful feature for insurance agents and adjusters. Whether or not representatives have worked with similar systems in the past, the SERVPRO Claims Information Center makes it easier to ensure that accurate information is available about types of damage, restoration services and estimates related to an insurance claim for damage at a residence in Greenwood Village, CO. There are ways to prevent damage to your commercial building in Englewood, CO during a flood. Flood damage is possible in any building. While it’s certainly more common in a flood plain, any area that receives significant rainfall during a storm could experience some effects. There are ways, however, to prevent damage to your commercial building in Englewood, CO during a flood. Here are some tips for keeping your business safe and dry. A great location is the best way to prevent flooding. When you are scouting for places to build, consider the relative elevation of your options. If the lowest level of your building is above flood level, it is unlikely to flood due to rising groundwater. Let gravity work in your favor whenever possible. You may not be able to choose a higher location, but you can choose to inspect your property and make timely repairs. Flood damage experts advise that you clean downspouts and gutters frequently, ridding them of debris that may cause water to pool on your roof. Check your roof, walls and foundation for cracks or other weak points where water could get in. Make sure your windows are sealed properly against outside elements. In addition to making sure there are no vulnerable points where water can enter your building, you can prevent storm damage by actually setting up barriers to water that directs it away from your foundation. Make sure the grade around your building slopes away from its base. This helps storm water flow naturally in the other direction. You can build miniature dams to reroute the flow as well. Finally, install a sump pump in your basement to get rid of any water that does find its way in. If you can choose the location of your building, higher ground can prevent a lot of flood damage. Even if your property is in the middle of a flood plain, however, you can still take measures to keep it from flooding. A new gas range that is sparkling clean and working well is a joy to cook on. You wipe away every crumb and spill immediately and keep it looking pristine. As the novelty wears off and life happens, you may not worry so much about a spill or two. Things begin to bake onto the surface and accumulated gunk and goo no longer bother you as much. But there are some simple ways to restore your beautiful oven and some good reasons why range cleaning and maintenance are important. Make a mixture of half hot water and half white vinegar. Spray all surfaces, one area at a time and let it sit to soften dirt. Using a stiff toothbrush, scrub away all grease and buildup. You can scrape gently with a plastic knife if needed, then wipe clean. Remove the burner caps and heads. Wash them in the vinegar mixture and clean the grooves with a pin or toothpick. Dry thoroughly. Wipe everything down one last time and replace burner heads and caps and cooking grates. Wipe things down after each use to maintain a fresh, clean appearance for your gas range. Besides looking great and being a more inviting cooking surface, a clean range top can keep the burner heads working properly. Food and spills can build up in the cutout grooves, blocking the flow of gas, creating hot spots or making it unsafe to operate. Burning food near the burner head could also produce an unpleasant smoke smell that can get into everything in your house. If this happens, be sure to get help from odor removal specialists in Littleton, CO, to clean your home of both the smell and the residue that causes it. 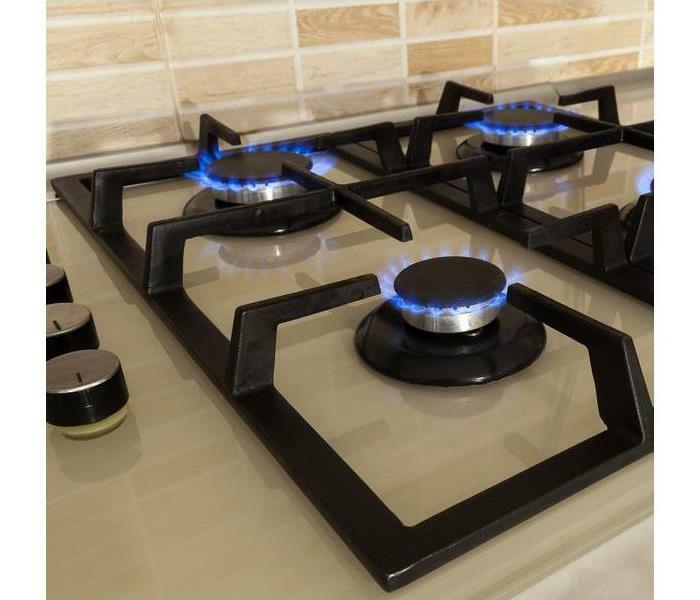 You won’t have to spend your time wishing for a new gas range when yours is sparkling clean and in good order. You can just enjoy what it was made for – giving enjoyment and nourishment to your family. Make sure you know how to keep moisture out! Commercial property owners should do everything they can to limit the amount of moisture that gets into a building during a storm. Here are five tips on preparing for a storm and responding to rain damage. Test exterior doors for wind strength. Make sure all exterior doors are rated to stand up to high wind speeds. The frames should be secured and the flashing, sealant, and tracks designed to limit the amount of water that can get into the building. Enhance the building envelope. Builders and retrofitters recommend strategically implementing air barriers, capillary breaks, and vapor barriers to prevent moisture from permeating through porous building materials. A moisture-resistant envelope can also help to prevent black mold from developing. Waterproof your roof. Waterproofing prolongs the life of a roof by preventing ambient moisture from permeating this part of the structure and leaks from forming. Clear the drainage system. An effective drainage system is very important for limiting the amount of moisture or water that can cause rain damage. Make sure that roof drains, downspouts, and gutters are clear and that the water drains away from the foundation of the building. Keep sandbags and plastic sheeting on hand. 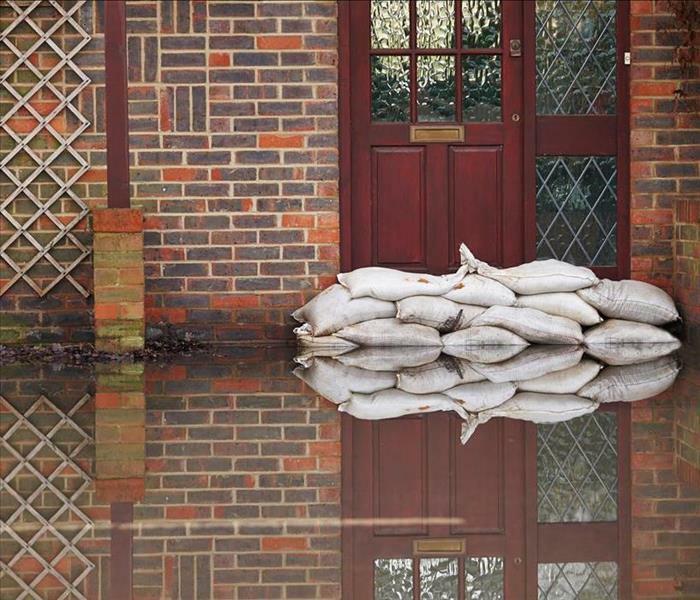 In case any part of a structure such as a door or window fails, owners should have sandbags and plastic sheeting available to limit the amount of water that gets into a commercial property. These five tips can help property owners keep moisture and water out of a commercial property. When it comes to preventing rain damage and secondary damage such as black mold, following these steps and making sure that the building envelope is as waterproof as possible are the best ways to prepare your building for a storm. If your property admits too much moisture or sustains water damage, contact a commercial restoration firm in Denver, Colorado. 3/24/2019 - Looking for a Franchise Opportunity? 2/18/2019 - How Do Insurance Agents Use Claims Inventory Systems?